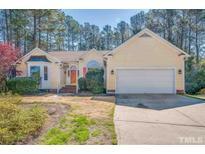 Below you can view all the homes for sale in the Fairfield subdivision located in Durham North Carolina. Listings in Fairfield are updated daily from data we receive from the Raleigh multiple listing service. To learn more about any of these homes or to receive custom notifications when a new property is listed for sale in Fairfield, give us a call at 919-759-5468. Enjoy rocking on one of several porches while overlooking the spacious, almost 3/4 acre lot. MLS#2247076. 3577. The kitchen was recently updated featuring new cabinets, granite counters, all new appliances (included with sale). This is a must see. MLS#2246904. 5000. Charming and BEAUTIFUL to show! This 1 will SELL! MLS#2239574. 4772. Seller intends to make no repairs. MLS#2214729. 238.